Ready for a fun Mini Swap?! Our friends with the Las Vegas Modern Quilt Guild have invited us to join them in a mini swap. This will be a great way to make new friends with our Vegas counterparts. The theme for this mini swap is Rainbow. Each SLMQG participant will make a mini for a LVMQG participant and vice versa. We (the SLMQG participants) will be turning in minis at the October 17th meeting, where board members will ship in one package down to the LVMQG board. We will receive the minis from the LVMQG and handout during our November 17th meeting. If you can’t make one or both of those meetings but still want to participate, don’t worry…you still can. We can work out alternative drop offs and pick ups with you. Please comment yes and include your instagram username on a post in our private facebook group for members only. This will be a secret swap, so Sally Seamstress from SLMQG will make a quilt for Nancy Notions from LVMQG who will in turn make a quilt for Teresa Thimble from SLMQG, and so on. 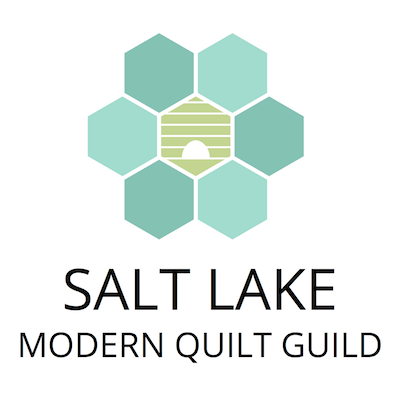 This swap will be open to Salt Lake MQG members of all skill levels – as long as you can make a mini quilt, you can join! Read this post on swap etiquette for some guidelines. When you sign up, we’ll ask you for your Instagram username so that the person making you a package can find out what you like. Post an Instagram mosaic to show off some of your favorite quilt styles. Please keep the deadline (October 17th) in mind when you sign up. We are giving plenty of time, so you have no excuse to be late! The size is up to you, but the max on any given side should be no larger than 20”. Swap extras are not required, but are not banned either. It is entirely up to you. Please package your mini (and any extras, if including) with your name and the name of the recipient clearly marked. Please post pictures on Instagram when you receive your quilt swap package.